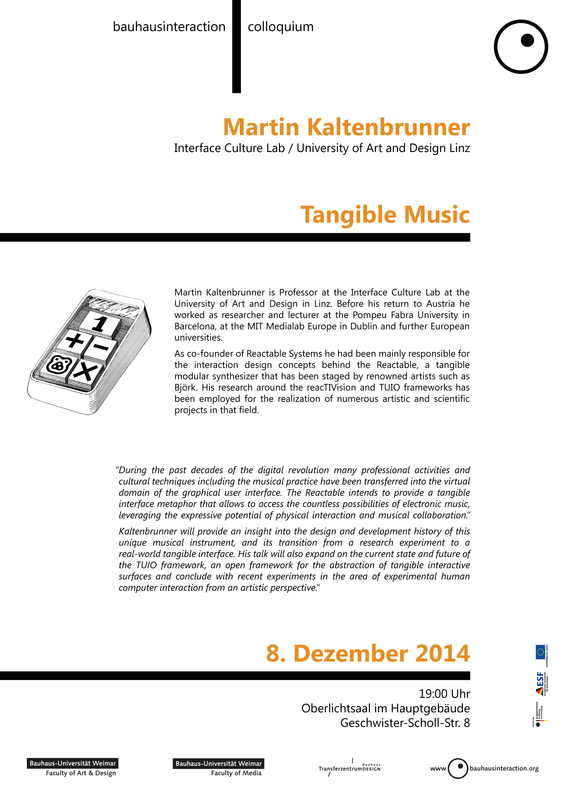 Martin Kaltenbrunner is Professor at the Interface Culture Lab at the University of Art and Design in Linz. Before his return to Austria he worked as researcher and lecturer at the Pompeu Fabra University in Barcelona, at the MIT Medialab Europe in Dublin and further European universities. 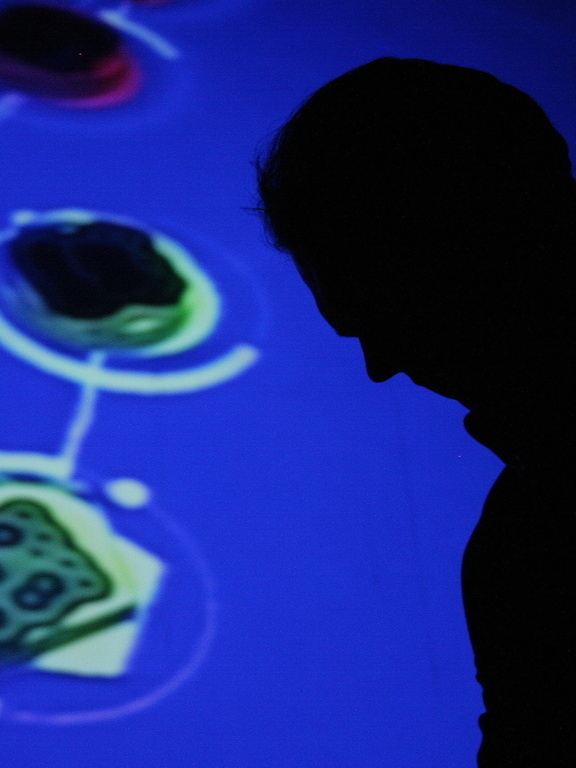 As co-founder of Reactable Systems he had been mainly responsible for the interaction design concepts behind the Reactable, a tangible modular synthesizer that has been staged by renowned artists such as Björk. His research around the reacTIVision and TUIO frameworks has been employed for the realization of numerous artistic and scientific projects in that field. Kaltenbrunner will provide an insight into the design and development history of this unique musical instrument, and its transition from a research experiment to a real-world tangible interface. His talk will also expand on the current state and future of the TUIO framework, an open framework for the abstraction of tangible interactive surfaces and conclude with recent experiments in the area of experimental human computer interaction from an artistic perspective.